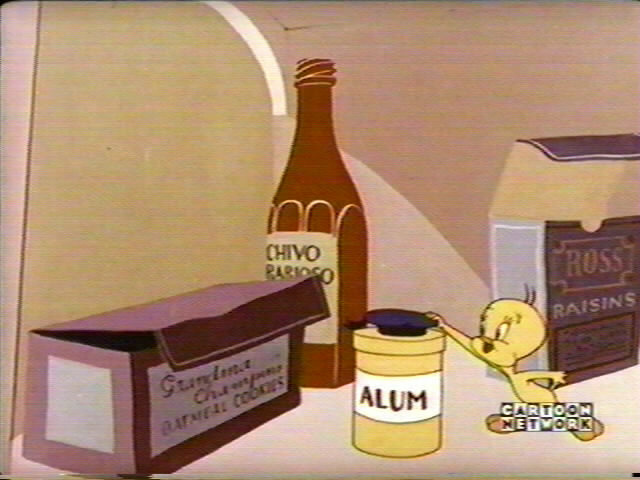 Shelf Life Tweety hides in a cupboard where some products with familiar names can be found. There's "Grandma Champin's Oatmeal Cookies" (named after the granny of animator Ken Champin) and "Ross Raisins" (as in the animator Virgil Ross). More Friz A canister of some unnamed product (maybe salt?) is the next in a series of fine "Friz" products - named after Friz Freleng of course. 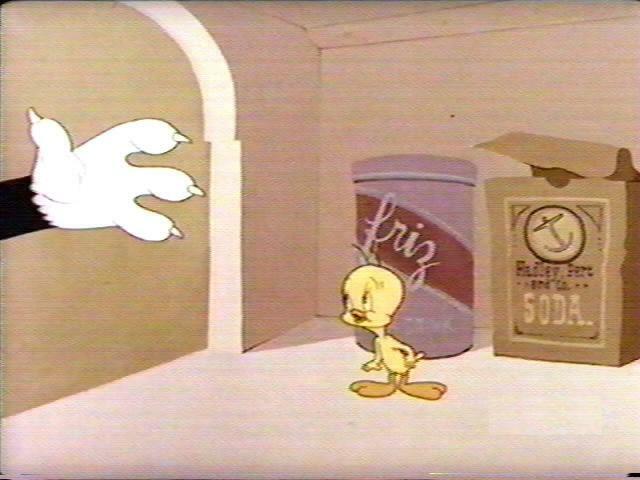 There's also a baking soda box from with the brand name "Hadley Pert & Co." which is most likely a play on the name "Hawley Pratt" - who was a layout artist for the Freleng unit. Hopping By Hippety Hopper bounces down the sidewalk past some posters - one of which is covered partially but appears to say "Bugs Bunny in Person". 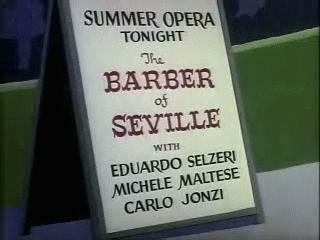 Three Familiar Names The sign advertising the summer opera "Barber of Seville" features the names of three people: Eduardo Selzeri, Michele Maltese and Carlo Jonzi. 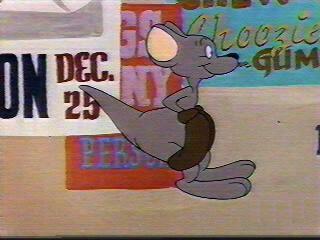 Those three are better known as Eddie Selzer (the producer), Michael Maltese (the writer) and Chuck Jones (the director).